Such a beautiful verse. So perfect for this week. Nice macro, and I love your new header. Very nice! Nice, vivid photo. And who can argue with "love"? lovely verse and it's really true. Pretty picture. God gives us such love and enables us to love as such. Oh so pretty. I love those verses also. Awesome, glad you are back. A beautiful verse and photo. Welcome back! 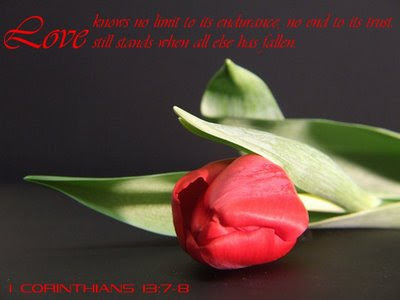 I love that verse and the pic is beautiful. Happy WFW! What a beautiful picture & scripture. Thanks for sharing! beautiful! and I love your' new header!! !